Rated as the 10th easiest place to do business in the world by the World Bank, Taiwan is an exciting investment prospect in Asia. With a range of advantages, from geographic location, intellectual workforce, excellent infrastructure, to strong legal environment, Taiwan makes for a great business opportunity. To help companies prepare themselves for business, Links created a legislative page of the main employment laws and best practices in Taiwan. Please note that all the information listed below are to be used as a general guideline, for more detailed accounts of laws and regulations, please visit the official governmental websites. Want more HR support? Get in touch with one of our representatives to see how we can help you elevate your HR function today. Any person or company conducting business in Taiwan is required to have registered their company. This also applies to branch offices of foreign companies, they must register with the company registry. Once the company registration is accepted, a notification document will be sent to the company by the Tax office. 3 days upon receiving all the documents, representatives of the company are required to do the final registration of the business at the tax office. Company documents, such as Business Registration, Cert. of Incorporation, M&A as well as Register books. In Taiwan, foreign workers may be employed in the following areas: family nursing job and household service, institutional care work, manufacturing work, construction work, marine fishing work and slaughtering work. Applications are to be submitted by item to the Ministry of Labor. A flowchart of the application procedures is provided. In the case of specialised foreign workers, applicants will have to fill in a "Statement to Personally Collect Documents" if they wish to do so. Starting in January 2018, Taiwan's minimum monthly wage is set at NT$22,000 according to the Ministry of Labour. Entering 2019, the monthly minmium wage and hourly will be increased once again. Taking effect on January 1, 2019, the hourly minimum wage will be raised 7.14% to NT$150 per hour, and the monthly wage will be increased by 5%, to NT$23,100 per month. According to an amendment the Labor Standards Act made in 2016, the maximum hours for the work week is 40 hours, with no more than eight hours of work allowed per day. An additional day is added for each year of service over ten years, up to a maximum of 30 days. For each week, an employee is entitled to to two regular days off. One is a regular leave while the other should be considered a rest day. For employers wanting to terminate an employee, at least one of the following situations need to be met. The employers' businesses are suspended, or has been transferred. The employers' businesses suffers an operating losses, or business contractions. Where force majeure necessitates the suspension of business for more than one month. There has been a change in the nature of the business, necessitating the reduction of the workforce whereby said employees cannot be reassigned to other suitable positions. Said employee is unable to perform satisfactorily the duties required of the position held. If none of these requirements are met, the employer may not terminate the worker even upon advance notice. Severance payment is calculated in accordance with the length of service provided by the employee along with the average earning of the 6 months preceding the one month from departure. The severance payment is calculated under two methods depending on the time of which the employee joined the company. Employees who joined the organisation before the 1st July,2005 and employees who joined after may have their severance pay be calculated under different methods. 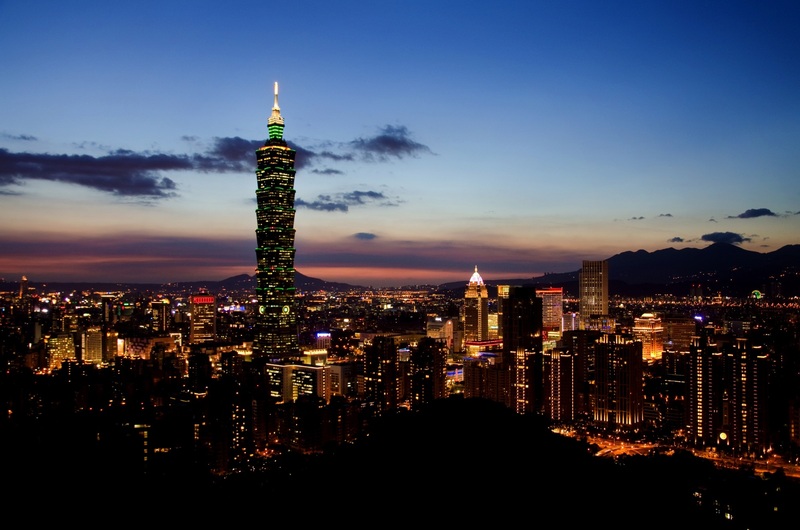 Any cash or goods rewarded to employees are taxable income in Taiwan. Employees have to pay salaries tax on all benefits associated with stock-based awards that is resulted from the employment. Both employees and their employer need to keep track the reporting requirements in returns as failure to do so may result in penalties. For each new joiner, the employer is required to do the Social Security Enrollment for the employee on the first day of their joining. The Act of Gender Equality in Employment protects gender equality in the workplace. Unless the nature of work is only suitable to a specific gender, employers should not discriminate against applicants or employees on the basis of gender or sexual orientation in the course of recruitment, screening, hiring, placement, assignment, evaluation and promotion. Employers proven to violate this Act will be fined no less than NT$300,000 but not exceeding NT$1,500,000. Employees are entitled to eight days of wedding leave with pay. Female employees are entitled to a total of eight weeks maternity leave. This can be granted both before and after childbirth. If the employee should experience a miscarriage after the first three months of pregnancy, the worker is permitted to discontinue her work and entitled to maternity leave for a period of four weeks. For workers who has been employed for six months or longer, they are entitled to regular wages during their maternity leave. If she has serviced for less than six months, she shall be paid half the regular payment. Five days of paternity leave is granted to employees when their spouse is in labour. Regular wages shall be paid for pregnancy checkup and paternity leaves. If the employee has served for over six months, employees may apply for parental leave without pay before any of their child reaches the age of three. The period of leave may not exceed two years. Additional conditions apply if the employee is raising more than one child. Where accounted for, the number of ordinary sick leave days should not exceed a total of thirty days in a year, with fifty percent of their usual salary paid. In cases where the Labour Insurance payments cannot reach fifty percent, it is the employers responsibility to make up the difference. Upon the death of a parent, foster-parent, step-parent, spouse,of the worker, the worker will be entitled to eight days of funeral leave with pay. Upon the death of a grand-parent, son or daughter, parent of spouse, foster-parent or step-parent of spouse, of the worker, they will be entitled to six days of funeral leave with pay. Upon the death of great-grandparent, brother or sister, grand-parent of spouse, of the worker, they will be entitled to three days of funeral leave with pay. Both Local Citizens and Expats are required to Monthly Withholding Tax if they have income in Taiwan. The Monthly Withholding Tax is calculated the same for Local Citizens and Expats who stay for more than 183 days in Taiwan, while Expats who stay in Taiwan for less than 183 days have their Monthly Withholding Tax calculated differently. The tax filing fiscal year in Taiwan is from 1st January to 31st December. Employers should do Yearly Tax Filing before 31 Jan each year. The NHI filing fiscal year in Taiwan is from 1st January to 31st December. Employers should do NHI Supplementary Filing before 31st Jan each year. Various wages/ salaries payment methods may be used, but must be under the consent of the employee. According to the Labor Standards Act, except agreed upon by both parties in the labour contract, or when wages are paid in advance on a monthly basis, wages should be paid on a regular basis at least twice a month. This also applies to wages for project based work. It is the responsibility of the employer to keep a worker payroll roster in order. The payroll roster needs to be kept on a file going back at least five years. Bonus is paid at the discretion of the employer, however, this should be stipulated in the employment contract. In Taiwan, it is common practice for employers to give employeese a bonus at the end of the year. This program is for any any employee employed by a company with more than 5 employees. Under this scheme, the employers, or organisation, or institute will be recognised as the insured units. The premium for the Labour Insurance is made up of both the employee's and the employer's share. While employers need to contribute to all 4 insurances, employees are only required to contribute to the Ordinary Insurance and Employment insurance. Starting from 1 January 2019, the Ordinary Insurance will be increased to 10%. The Insurance Premium of NHI is calculated using Employee’s Monthly Insurance Salary, Insurance Premium Rate and No. of Employee’s Dependents. The supplementary premium is paid along with the regular premium on a monthly basis. Taiwan Local Employee whose on board date is early than 1st July 2005. Expat regardless of join date. Expats who marries with Taiwan Local Citizen (依親) with join date before 17th Jan 2014. Special Note: Labour Day is a public holiday for private sector employees only. Most businesses are closed for 5 days during Lunar New Year. Links International is a leading payroll outsourcing provider across Asia Pacific and supports payroll in over 15 countries. If you’re interested to explore the idea of payroll outsourcing, EOR, or Visa application please do not hesitate to contact us.